Taiwan's Industrial and Commercial Times spilled the beans that Apple supplier Pegatron has received 15% of orders to manufacture and assemble Apple's upcoming 4.7-inch iPhone 6. The next iPhone's announcement is scheduled for September. The supplier will produce 50 million iPhones by the end of this year, including the iPhone 6, iPhone 5c, and iPhone 4S. In addition to Pegatron, long-time Apple manufacturing partner Foxconn has been tasked with iPhone 6 production as well. It has already recruited workers at its new factory in Kunshan, China to meet demand. Production is scheduled to start in the second quarter of this year, perhaps in July. Once again, the report mentions that a 4.7-inch iPhone 6 will be announced in September, while a phablet-sized 5.5-inch iPhone will follow later. Also, the purported iPhone Air name isn't being mentioned anywhere. 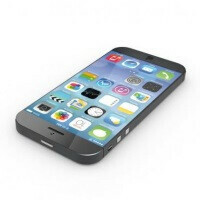 For more information on Apple's next flagship, take a look at our iPhone 6 rumor round-up. We'll be updating it as new bits of information leak. I'd say that 75% likely yes. Means much more expensive(Not for US). I miss the glass backing on the iPhone 4. Also, my friends LG Optimus was made from glass. The feel, imo, is far more "premium" than metal and plastic. Ugh, September is just too far! 2GB RAM, even if they recycled the A7 for 2014, would still make it the most powerful handset on the market for 2014. 4s why r they still doing that phone ? And will they stop making 5s? Noticed that too. My guess it they will target emerging markets with that model. They sell a lot of iPhone 4/4S to poorer people in the USA as well. They just don't have a handy politically correct term like "emerging market" for these customers. Only because of two year contract..otherwise, it is a joke for someone truly poor to buy an iPhone at full price. Especially when one can get an OnePlus or Nexus 5 for 349.00, as well as a ton of other devices for less out in the marketplace. It's been common for Apple to sell three models of the iPhone at a time. The 4S is beyond that though, so I'm guessing emerging markets more than the US. Next iteration should be the 6, 5s, and 5, but they killed the 5 for the 5c. I don't see the 4s fitting in this model Apple has set up for the States. Replace "Apple" with every major company out there. Apple can't even compete with other major manufacturers at this point. Apple is a luxury brand. They aren't competing with other manufacturers more than they are trying to convince people that buying an iPhone is an important, meaningful thing to do for their lives, part of moving up the ladder, "making it", outdoing the neighbor, etc. Basically buying an iPhone is conspicuous consumption to validate your riches, dreams of riches, or lack of self esteem. Or, maybe, just maybe, it is the best phone for some people? I'm on a 925 testing WP 8.1, right now. I have owned every iPhone since the 3G (Had to leave Sprint for it), every Galaxy S, every Nexus, every LG flagship since the OG, every Note, three BB10's, every GSM Lumia flagship sold in the States, a couple of Verizon Droid RAZR's, the Moto X, Atrix, Atrix HD, a Meizu, an HTC One X, an HTC One (M7), a Samsung WP 7 POS, and a bunch of those I have had in multiples (3 iPhone 5, in different colors and sizes, for an example). My conclusion? There is no right phone for me...yet. Buying an iPhone is the only way to get iOS on a phone. Show me what other phone has iOS, for less, and I'll buy it!